Running out of time to hire before the summer? Recruitment is always an immediate need. Although expansion plans can often mean recruitment is planned and budgeted for, often it is a resignation that kick starts the process and demands that time is spent on hiring. But do most employers plan enough time to hire? Could it be that many are guilty of not dedicating enough time to the hiring process, and understanding the length of time it can take to get that new starter on board? My advice to any business looking to recruit, is to start at the end of the process to work out how long it is going to take to get someone on board. Let’s begin with a start date! ASAP is a common phrase I hear. But having a fixed idea of when you absolutely need someone on board by pays dividends in defining a process. For example, we are currently about to start June (where did the year go?) With that in mind I am speaking to businesses about their September hires. A September 1st start for someone currently employed means they need to hand their notice in at the start of August. Realistically this means you need to have the offer letter and contract prepared by HR seven days before. The stage before that is second interviews, you would need to schedule in time for these in the week commencing July 18th, and first interviews would need to be held prior to that. If you plan on meeting 3-6 candidates, you will probably need to start these from week commencing July 4th. That leaves the month of June, to create a job description, get sign off internally on salary, choose a supplier to work with, brief them appropriately, meet them, agree a process and allow them time to search and screen. If you arrange a briefing meeting the first week of June, you can then expect a good recruiter to spend 1-2 weeks searching the market, headhunting, handling advertising, telephone interviewing and finally performing competency based interviews designed for your role. Recently I met with an employer who briefed 5 agencies on one role, taking ten minutes on each call to do so. I requested a meeting and a minimum of an hour of his time. Because if you don’t invest time in the process, it will never run to plan. If you are starting to think about hiring now, ensure you invest enough time at the start in order to get the end result right and have someone joining you by September 1st at the latest! Good recruiters will need to get under the skin of your business, they need to see the offices, get a feel for the culture, understand what keeps people with the company and reason as to why people leave. Taking a strong recruitment brief is not just about skills needed, but understanding succession planning, business growth, aspirational needs and so much more. Get this bit right and the process should run smoothly. 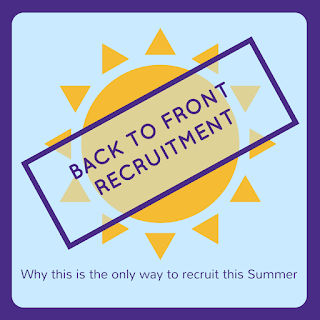 We are swiftly moving towards the Great British Summer, where time slows down in the recruitment world. Holidays are booked, children are more frequently around, and it impacts when people can interview and when they can start. Bear this in mind when mapping out a timeline. Not to mention the Bank Holidays! Love them from a personal perspective but they can throw a recruitment process into turmoil! 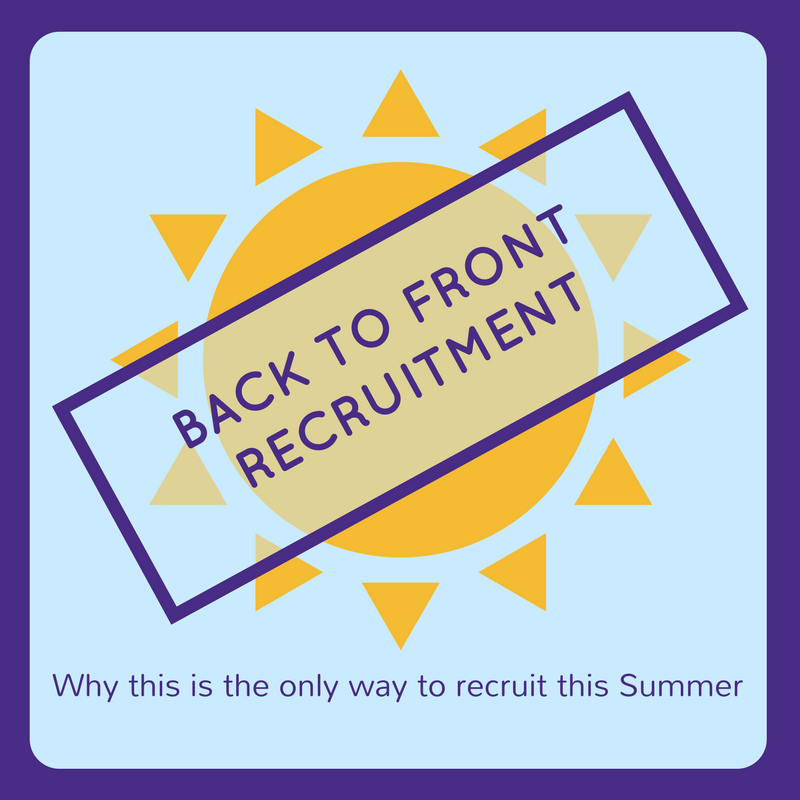 It isn’t often I recommend doing something back to front, but in this instance – working your way back from a start date gives you a realistic understanding of the recruitment process, allowing you to manage your own expectations. Please add in the comments if you would do something differently to speed up the process?